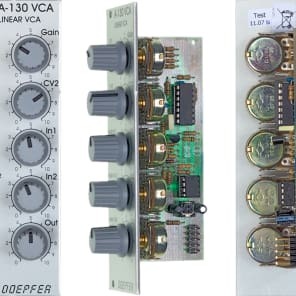 The latest versions of A-130 and 131 are equipped with the high-end VCA circuits SSM2164/V2164 (A-130) and THAT2159/V2159/SA2159 (A-131). Even they are able to process slowly varying control voltages as they have DC coupled signal in/outputs. These are manufactured since March 2013.